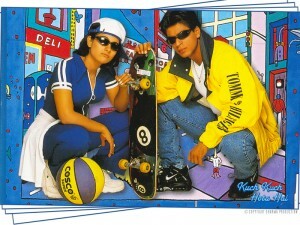 It’s been 13 years since Kuch Kuch Hota Hai premiered for the first time on silver screen. This movie was Karan Johar’s debut as a director and just like any other first timer; even Karan went cold feet before and during the movie’s release. It is difficult to believe now that a person like Karan Johar who has such an inspiring personality, can get cold feet and could weigh a whopping 120 kilos. But as wise men say, that “confidence and personality comes with experience”, and no one can explain it better than Karan Johar himself. Kuch Kuch Hota Hai became the biggest hit of the year in India and overseas then it went on to even win the National award. This movie gave a standard dialogue to all the lovers and friends in the world that, “Pyaar Dosti Hai”!! 17 queries in 0.515 seconds.